An unsportsmanlike incident happened during the EHF Champions League Quarterfinal match. An unsportsmanlike incident happened during the EHF Champions League Quarterfinal 2nd leg game between Ciudad Real and HSV Hamburg that took place on 2 May 2010 in Spain. The incident happened in the 41st minute of the match between a number of players from the two teams. As a consequence, the referees gave direct red card to Akuizu Aguinagalde from Ciudad Real and to Igor Vori from Hamburg. 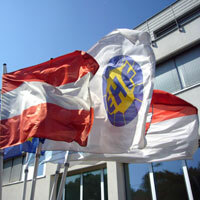 The EHF received the reports from the game and referred the case to the disciplinary body, the EHF Arbitration Tribunal. The decision of the EHF Arbitration Tribunal will be published following the proceedings.